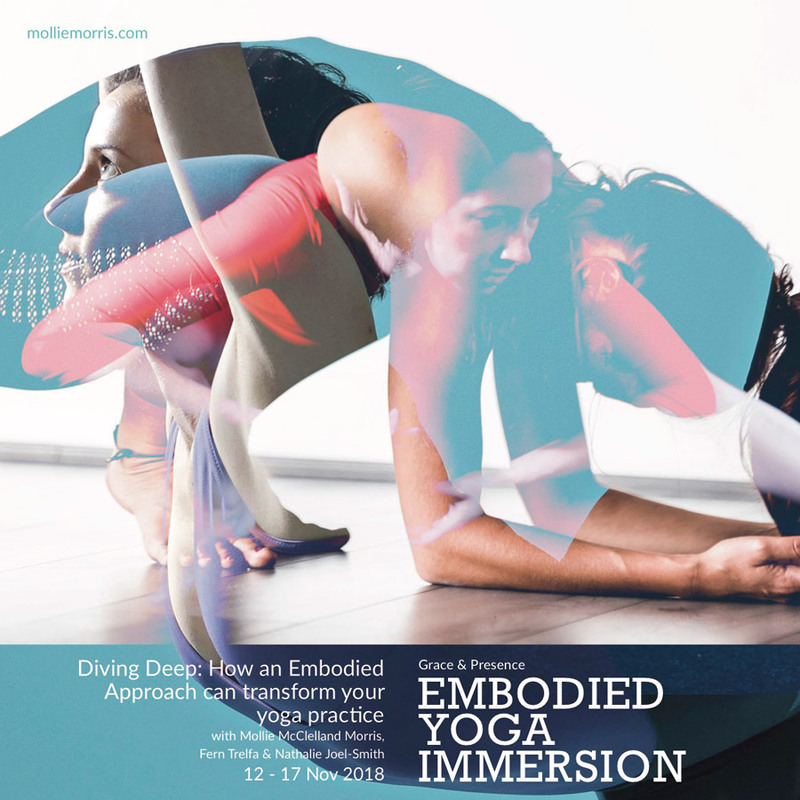 A week of immersive practice and self reflection, to evolve your understanding, experience and personal relationship to yoga, and allow it to ripple into all aspects of your being. Take this opportunity to tune into yourself with deeper sensitivity, and unlock your potential for more space and freedom, in movement and in life. This unique Yoga Teacher Training programme is designed to reveal your style and creativity as a practitioner and teacher of yoga. 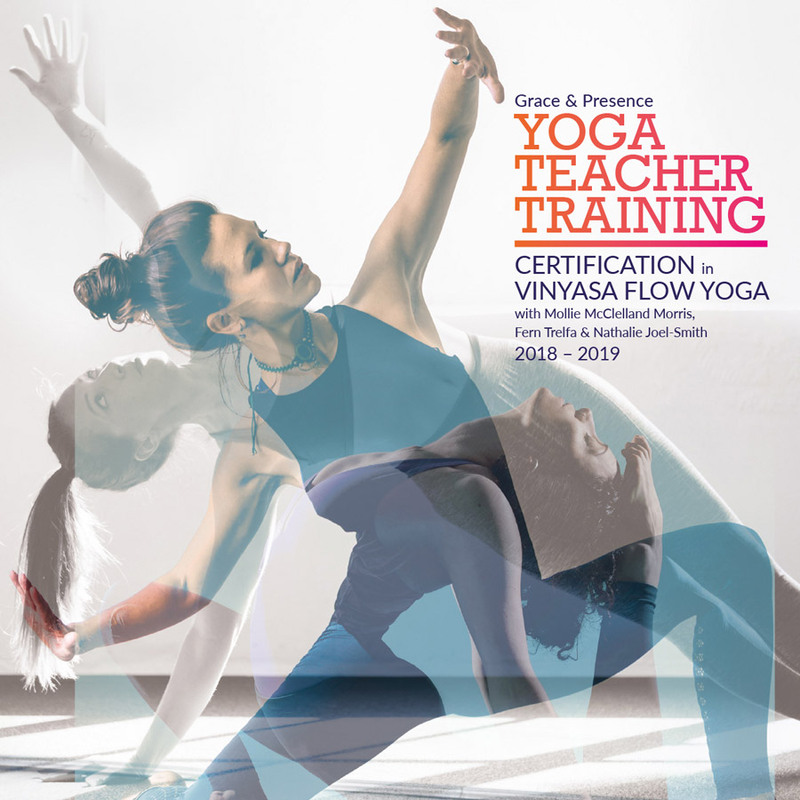 Created for dedicated yoga students and practitioners who want to explore yogic self reflection within physical asana practice, this course will deepen your awareness of the essence of yoga and allow you to teach with consciousness, artistry and authenticity. Join Nathalie and Clare for a day in the quiet and picturesque Kent countryside. A chance to step back, slow down and access the compassionate wisdom that lies within you. In this space, you can reflect in an honest, loving way, in order to nourish and support yourself in day-to-day life. We will re-frame ‘self-care’, letting go of overwhelming external ideas of all the things we ‘should’ do in order to be ‘better’, and instead explore the internal state that allows us to inquire about ourselves and our lives from a deeply caring place. Our day will start with embodied juicy Yoga with Nathalie, to ground, centre and expand. Followed by guided self-inquiry, group discussion, a home made lunch, time in nature and visioning. At the end of the day we’ll integrate all we’ve covered with gentle Yoga and Meditation led by Clare. Inspired by the nature around us, we’ll tap into the elements as a way to explore the range of needs we have in our lives, and develop an intimate conversation with ourselves about how we might meet them. This mini retreat is a chance to reflect, get curious and explore possibilities that can’t be seen when you’re wrapped up in the day to day. Our aim is for you to leave feeling refreshed and inspired! Our retreat will take place in a bright and airy purpose built yoga space on a private family run property. London Bridge to Hever takes 40 mins and is £12.60 return. Trains are every hour, and we’ll have a shuttle life running from the station to the venue. We recommend arriving on the 8.07 train from London Bridge, getting to Hever at 8.49. This allows time for everyone to get to the venue, have some tea and be settled ready to begin at 9.30. The return train is at 18.05 and we’ll ensure everyone is at the station in time to catch this train, which arrives back into London Bridge at 18.53. You can secure your space with a deposit of £50. The balance is due on June 1st, 2018. Spaces are limited to 10 people. We are both London based yoga teachers who explore life through an open, curious and embodied lens, to evolve as humans, share our hearts along the way, and join with others on their own journeys. As teachers and students we seek to engage, grow and inspire. We both share nourishing vinyasa yoga inspired by the nature and wisdom of the body, and Clare is also a restorative yoga teacher, passionate about the power of this practice. Join me for a weekend of re-wilding. This is a chance to slow down, listen inwardly and move attentively, to cultivate space and power from within. The excessive stimuli of daily life can take its toll, leaving us foggy, tired or hyper-aroused. This retreat is a chance to unplug from stress and strain, and plug into your Self, where lost connections are reignited and your essence is recharged. Connect to the wisdom of your body, the love in your heart and the wildness of your spirit. Through Yoga, meditation, sound, movement, nature and ritual, we’ll go on an adventure into the core of our being; the most open, expansive, precious and loving space from which to live our lives. A place where we move away from self editing and towards self expression. Where the fires of passion and creativity burn. Where we release tension and access ease. We are all wild creatures full of wildly abundant possibility. We have a place in nature and are a part of the great mystery of the Universe. When we arrive at home in our bodies we can experience this viscerally and become more attuned to our aliveness, holding the entirety of our human experience compassionately in our arms. The Quaives is an estate in East Kent surrounded by peaceful countryside. A real retreat from the hustle and bustle of the city with a dose of luxury. Yoga classes will be taken in the brand new beautiful yoga studio with high ceilings and natural light. Meals will be eaten in a communal diner-lounge with log burner (or outside if weather permits). There is a hot tub, tennis court and cedar wood pavilion for guest's use and nineteen acres of beautiful formal gardens and grounds to explore, that open onto meadows and the lakes beyond. Prices range from £270 - £380 in shared accommodation. There are several room options. Contact me for further information and availability. Single occupancy rooms may be available at a supplement. All meals are included, from Friday afternoon snack to Sunday lunch. The food will be wholesome and vegetarian, homemade and tailored to support and nourish us through the weekend. The Quaives is an hour by train from Kings Cross to Canterbury West, then a 15 minute taxi ride. Guests will be connected to one another prior to the retreat so lift/taxi shares can be coordinated. The anchor for our weekend is an embodied Yoga practice, informed by the natural design of the human body, which holds so much wisdom. An inquisitive & exploratory approach is taken, with guidance to sense and feel your way through asana and flowing sequences. In this way, the nervous system settles, presence is acquired and you land at home in the true nature of your body and heart. Plus a few other treats along the way! I’ll be joined by fellow Yoga teacher Clare Waters, who’ll lead the restorative yoga class. Clare and I share much in common in our approach to yoga and life, and I’m delighted you’ll be able to experience one of her restorative classes as part of this retreat.